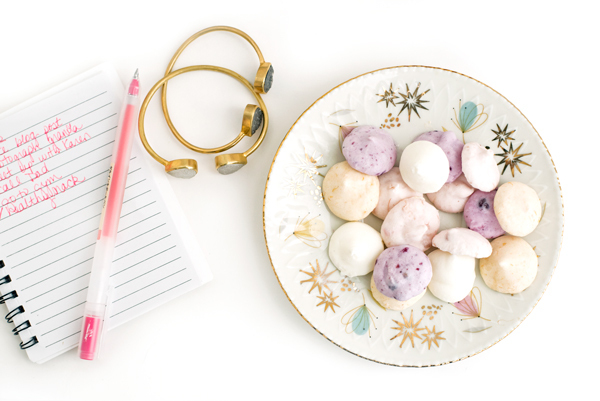 Frozen yogurt dots are the perfect bite-sized on-the-go snack. 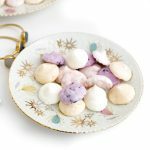 They are incredibly easy to make, healthy, kid-friendly and delicious! I eat yogurt every day. Most of the time multiple times per day. It’s so much of a thing that we actually have an entire shelf in our fridge that is full of yogurt! No, we don’t have a fancy fridge with extra shelves – we use one of three total shelves just to satisfy our yogurt cravings. It’s my breakfast, my I’m-so-hungry-I-can’t-wait-for-lunch snack, and what I turn to after a workout. A few years ago, we switched to eating Noosa yogurt (actually yoghurt technically since it’s Australian-style) and never looked back. it’s super delicious, not-too-sweet, and just the right amount of rich. I’m especially addicted to the strawberry rhubarb flavor (yes you read that right!). I’ve started conversations with complete strangers everywhere from the supermarket to a park over a common love of Noosa. 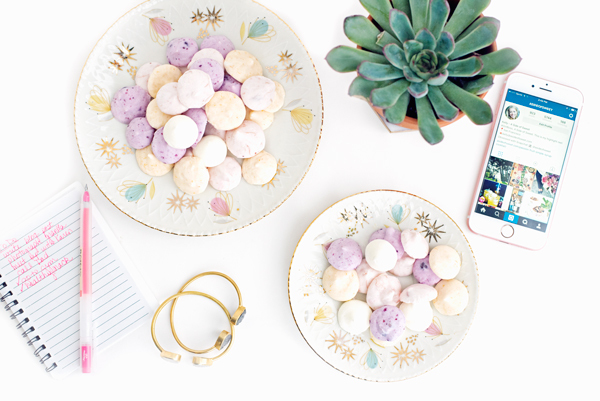 Eating Noosa makes us automatic kindred spirits. 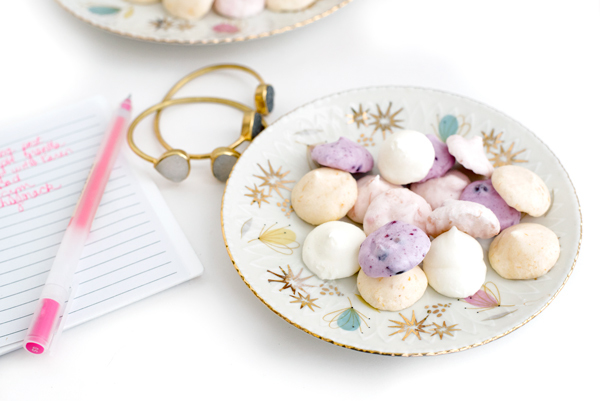 When Noosa asked me to create a recipe featuring Noosa yoghurt, for a moment I was stumped. 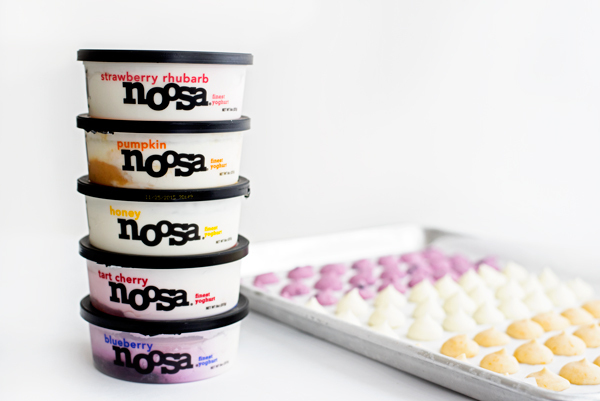 I thought about fruit and yogurt parfaits, or yogurt and granola, but Noosa is really good enough to stand on its own. Then it hit me. Noosa frozen yogurt. But in a cute, on-the-go, bite-sized form! 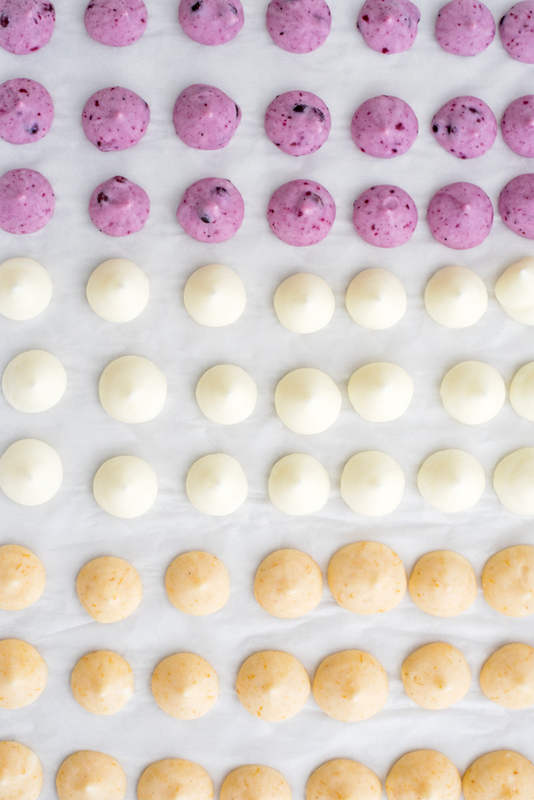 Frozen yogurt dots. These things are everything. They are super easy, have only one ingredient and are so healthy! They are the perfect recipe for after a workout, for a healthy snack, or even as a fun party treat. They are also super kid-friendly. And gluten free. Plus, they take just a few minutes to make – did I mention super easy? 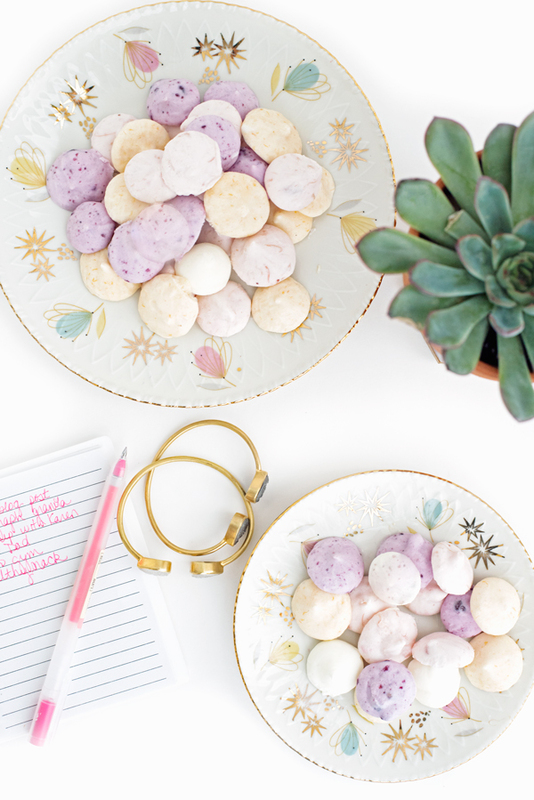 A frozen yogurt dots recipe for the perfect bite-sized on-the-go snack. They are incredibly easy to make, healthy, kid-friendly and delicious! 8 ounces of yogurt makes about 30 dots. Yogurt – Obviously, I love Noosa! Fill plastic or piping bag with yogurt flavor of your choice. Snip the corner of the bag off to create a hole approximately 1/2 inch in diameter. Pipe small one inch dabs of yogurt in rows on a parchment paper-lined baking sheet. Place in freezer for at least 4 hours before eating. 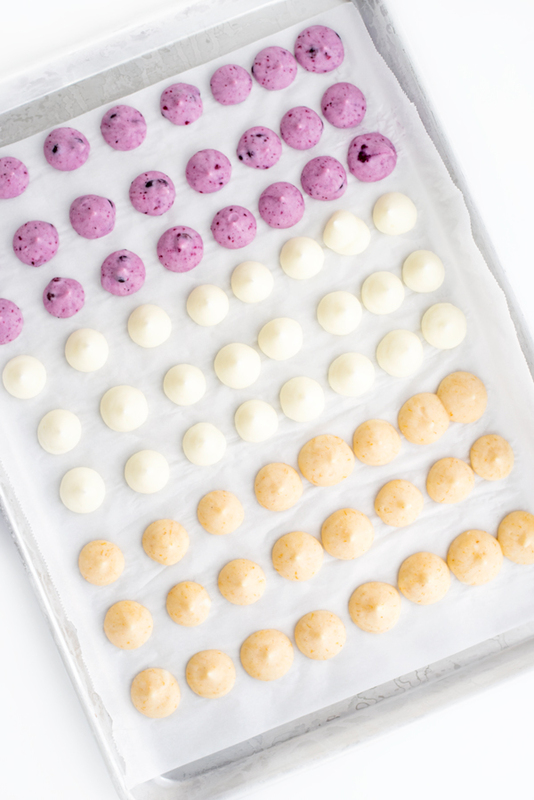 If you want to keep them longer, leave them on the baking sheet overnight, then remove to airtight container. Will keep in the freezer for at least a week. Thanks to my friends at Noosa for sponsoring this post. Opinions and enthusiasm are always my own. These look delicious – and so easy! They are! I hope you get a chance to try them! It’s from Muji. You can find an assortment here: http://amzn.to/1PinC9v. I have all the colors and I adore them! Where can Noosa yoghurt? I have never seen this brand. Are there other brands similar in taste and texture? Hi Lois & Cheryl – I usually buy Noosa at Safeway here in San Francisco, but you can also find it at Whole Foods and Costco. You should try their store finder: http://www.noosayoghurt.com/find-noosa/. Good luck! How to eat them on the go? wouldn’t they thaw once you take them out of the freezer?